Educate, inspire and share. 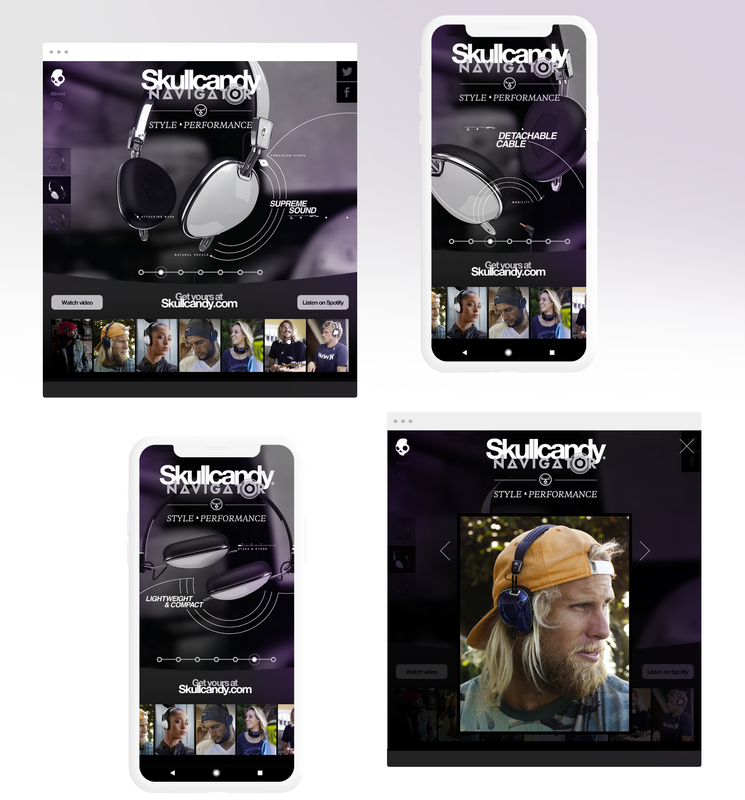 An interactive experience to help promote and support Skullcandy with the launch of their Navigator product and showcased all of it's technical features. 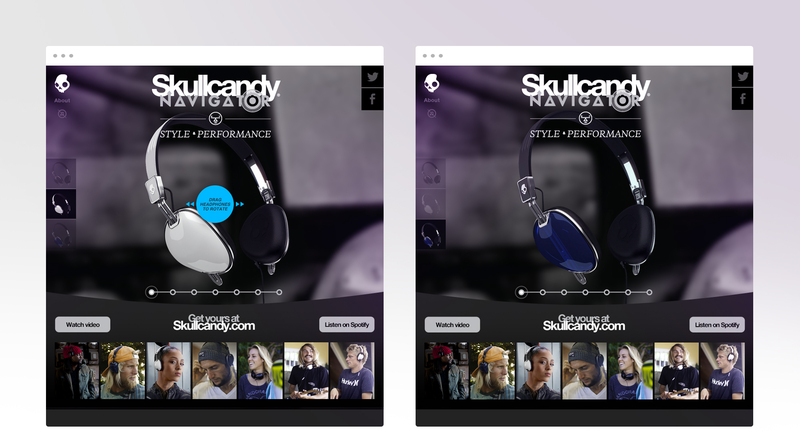 We created a product microsite with an animation that rotated the product through 360 degrees and exploded the headphone to reveal the new tech inside, allowing the users to explore the headphone from all angles while seamlessly switching between the three colour-ways. An experience built around a drag-to-explore interface, allowed the user to browse and explore the product's build and technical features at their own pace. As the headphones rotated and hit key points along the journey, graphics and technical specifications would animate and reveal to educate the user. Inspiring lifestyle photography of Skullcandy's sponsored surf, snow and skate athletes wearing the headphone, helped to showcase and align the product's sleek, fresh design aesthetic alongside the high-end technical features. The headphones were 3D rendered and animated to allow us to give the user full control of their product exploration. At several key points the headset exploded to reveal the build, high-grade materials and internal drivers. Access the user wouldn't normally see, but what added to the user's overall experience and first impression of the Navigator product at launch.